The internet has not only changed the way we look at things but has also provided us with alternatives for things we cannot physically access. Casino sites are an excellent example of this. Many people crave for the excitement and the thrill of gambling, but not everyone has access to a land-based casino. For them, the concept of an online casino has been a boon. Online casinos for real money provide you with all the games that a normal casino does, while allowing you the luxury of playing these games from your preferred place, your home, workplace, or a café. But in recent years, online gambling has not been a very pleasant affair for US based players. With various laws against it, a lot of online casinos shifted base and stopped catering to the US players. With the strong action taken by the US government against the three major poker sites in recent months, the future of online gambling in the US looks quite bleak. However, there are a few people who are trying to put online gambling back on the US map. Here is a short note on the problems being faced by US casinos, and what the future has in store for them. The root causes of the problems faced by online gambling sites in the US are a couple of laws that impose restrictions on online gambling. These laws are not very clear and have been widely disputed. Wire Act of 1961: The Wire Act, or the Federal Wire Act as it is often called, makes certain betting activities illegal. This law was aimed at penalizing people involved in betting activities or wagering via wired communication networks. According to this law, anyone who uses a wire communication facility for sending bets between states or in placing bets on a contest or a sporting event may have to face legal action. Ties to all forms of gambling. However, a lot of courts in the Unites States have stated otherwise. The United States Court of Appeals for the Fifth circuit stated that the restriction imposed by the Wire Act on sending bets is restricted to sports betting and does not apply to bets made at online casinos. UIGEA (Unlawful Internet Gambling Enforcement Act), 2006: This act was for some reason bundled with the Safe Port Act, which deals with seaport security. This act forbids online gaming operators from receiving any sort of money, in the form of bets, in a way that uses the internet or any other method that is considered illegal by any state or federal law. Now as stated above, the Federal Wire Act does not restrict online gambling so it comes down to the state laws, and each state has a separate law for online gambling. There have been numerous debates over this act and it has received many criticisms, the major one being that the unlawful online gambling has not been defined in the law. In addition, it only prohibits the transactions and not the companies themselves. The UIGEA was not very clear on a lot of issues, and players and companies were confused about its implications. A lot of companies, especially publicly traded companies decided to opt out of the US market completely. Party Poker was one such site, which was owned by Party Gaming. As soon as the bill was passed, Party Gaming’s share dropped by almost 60% on the London Stock exchange in a span of one day. A lot of other sites followed suite, leaving US players with few options in terms of online casinos. There were still a few sites, which continued operating, and served US players. The UIGEA regulations were enforced on January 19 2009. On April 15 2011, three of the biggest online gaming companies, PokerStars, FullTilt, and Absolute Poker were indicted on grounds of violating the UIGEA. This day was termed as Black Friday by online poker fans. The .com URLs of the three sites were blocked by the Department of Justice. Over 70 bank accounts were seized and players were unable to access their money. Conservative estimates say that the net money in these accounts is close to $500 million. People who are disappointed by the stand of the government on online gambling have reasons to be happy. UIGEA has faced a lot of criticism and opposition. Poker Players Association (PPA), which is in favor of online poker and gambling, has been active over the past couple of years and now has over a million members. Besides PPA, many states which are in debt and going through hard financial times think that revenue generated by online gambling can give their economy a boost. New Jersey is one of these states. A bill was introduced to make internet gambling legal but was vetoed by the governor in 2010. Another bill with modifications may be introduced soon. Washington D.C has announced that soon, it will have online hubs, which will provide people with internet casinos. Several companies have filed lawsuits, regarding the UIGEA, against the US government both in the courts and with organizations such as the WTO (World Trade Organization). Congressional representatives like Barney Frank have tried introducing acts, which overturn the effects of UIGEA. 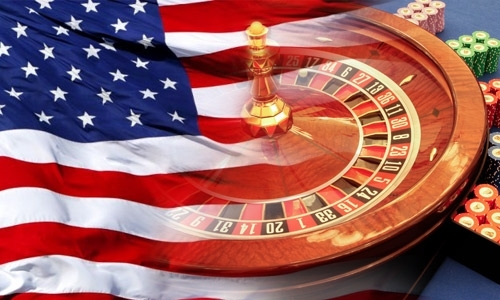 Many believe that it is only a matter of time before the US government decides to legalize online gambling with certain restrictions, as a lot of other countries have already done.